This selenium grid 2 tutorial will guide you how to use selenium grid 2 to perform distributed software test automation in order to speedup software test execution process. Using selenium grid 2, You can execute your software automation test in different OS, different versions of browser and execute software automation tests in parallel. Follow the tutorial links given at bellow to learn selenium grid 2 from scratch. 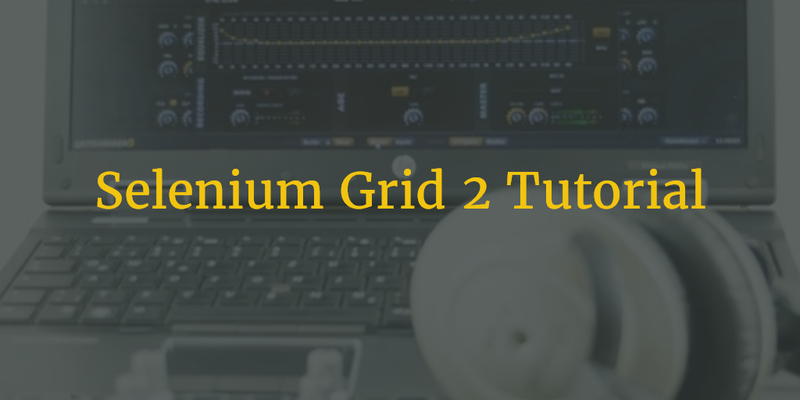 What Is Selenium Grid 2? When To Use Grid? Set Selenium Grid Node "timeout"
I got my qa automation test skills all from you at here. Thank for you giving such more skills let qa guy can live on. areas and the most details. ToXXXXa is another best one. I just want you know I think you did the greatest work in automation test field in the world. Did some poses have been deleted. I thought I have run some test cases on more than four computers eith grid 2 in 2015.May-2016.May.